Attracting thousands of classic vehicle enthusiasts on their journey to restoration completion, the halls of the Royal Bath & West Showground are filled to the rafters with specialist traders, parts suppliers and jumble stands offering missing pieces of restoration and maintenance puzzles at bargain prices. A brand new heated marquee will host even more car clubs, traders and autojumble plots too! With hundreds of cars for sale at the event, it’s also the perfect place for visitors to pick up a project! 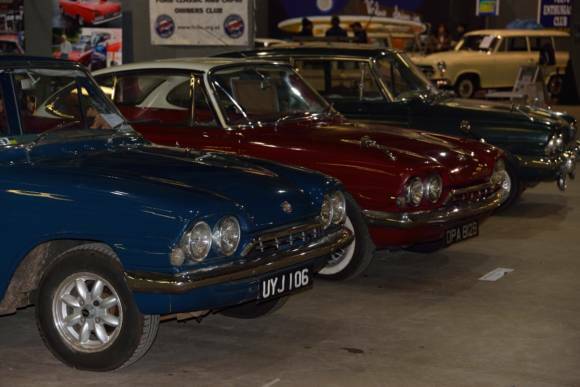 Thousands of cars needing different levels of TLC are available through private sales in the classic car park, or via the Charterhouse Auction room, where viewing is free on Saturday. Whether it’s a first-time project you’re looking for, or you’re ready for something a little more challenging – there’s something for everyone at this event, no matter what your budget.